WUWT Status report – 40 million | Watts Up With That? Thank you readers, thank you moderators, thank you guest contributors. Traffic has slowed from about half of what it was during the heady days of Climategate and Copenhagen in December, but I note that this is not unique to WUWT, as other climate blogs have also experienced similar drops since then. However I’m pleased to say that WUWT has kept many new readers since then. For my part, I’ve gone through a period of exhaustion and illness due to keeping up the pace a couple of weeks back, and for awhile, resorted to posting a lot of press releases rather than analysis and commentary. This is why I value the work of our volunteer moderation team and our guest contributors so much. You have my heartfelt thanks for your continued efforts. At the moment, I’m facing survival issues with my own business due to the downturn the economy has suffered, and I’ll be unable to put as much time into WUWT as I have in the past. Even the Google Ad words hits have dropped off as the economy cools. The economy has finally caught up to my little niche. Given the situation, I hope readers will forgive me if I showcase a weather station product or two in the future as a way to gain revenue. WUWT gets more hits than my business does, so I’d be a fool not to take advantage of this traffic. I figure many WUWT readers might be interested in some of the weather products I’ve invented and offer. Most recently I’ve been working on a personal weather radar channel, a small box that you can add to the back of any flat screen LCD TV/monitor, that gives you 24/7 automated radar display for your location, and without any data fees. Look for that in a week or two. March 26, 2010 in Announcements. I do the Alexa analysis every couple of weeks or so as well, but only with your site, Gavin’s, and Steve Mc’s. I never thought to include climate progress as I had assumed that no one visited it ever. I guess I was wrong. It’s just that people don’t comment there or they get moderated out! Ok you can not work without fundings, what is the best way , using the Donate button for the surfacestations.org project? Maybe Climate Progress gets intelligent readers who then all comment on how crummy Climate progress is, and then all get moderated out? Or maybe since they just echo whatever realclimate says folks comment over there instead? I am interested in seeing your weather station products. Anthony: The wife is going to kill you if you don’t show the cash after being chained to your computer. Do it. Definately show the sun in your widget too. I think it helps to inject it’s equations into our thinking. This solar24 thing is interesting. Congrats on the continuing up tic on WUWT. It is a privilege to be able to come to this site and read daily often more than once and once in a while contribute a little from an old worn out country boy. Go ahead with the weather products I am currently using a LaCrosse and have had nothing but trouble with the remote rain sensor and have gone back to a manual rain bucket. I look forward to continued education via this wonderful web site. Is that possible to put real time cosmic rays reading, solar wind speed and solar proton density data into your weather radar channel? Congratulations on the continued success. Please do whatever it is that you need to do. Your efforts are important. We’re seeing a slight pickup in the economy. Recreational products are beginning to be purchased at about 40% of 07- 08 levels, up from about 10%. There is some light coming unless the taxes start rolling in hard and fast. We’re also seeing a pickup in construction industry but I’m not sure if it’s through govt. or private consumers. I suspect climate progress has about 12 steady posters. Their censorship is tight. This is many times more classy site. It is also less of a political bully pulpit. I can’t deal with Realclimate because it is composting the same single posts for too many days. Yikes. It causes me to react when every warmist site twists each little “science” finding into a political command telling people what to do. Good idea to increase marketing your products. Very good idea. Since Big Oil is stingy, you deserve the money. I enjoy your site Anthony, and I hope your “other” business survives and thrives. The economic situation does seem to be going downhill, especially in terms of the national debt as reported today. That, as well as the ongoing health care bill controversy, the up-coming carbon tax bill being put forth by Kerry, illegal immigration, political corruption and backroom deals, etc., all serve to move people’s attention away from discussions of climate. For the last year or so the public has been the victim of information overload, and I think a lot of folks have just tuned out altogether. Wuttites are nothing if not loyal, Anthony, and probably a bit smarter than some of the other climate site visitors: ) Sincere congratulations for another record broken. As a new visitor to your website (4-5 months) I appreciate the effort, and many hours, you put in. Congratulations!. Have you any records on what kind of posts receive more hits? I remember, not long ago, being amazed at WUWT passing 20 million, now this milestone is one more demonstration of the high esteem in which you and your site are held. Congratulations Anthony. Here’s to the big 5-0 ! I want you to know that I am working on a computer model which will show that all bloggers located within 1200 km of you also have 40m hits. And if the model shows it, it must be true, right? Congratulations! I’m responsible for a few hundred of those hits – you’re on my bookmarks for daily visits. I confess that much of what you post is over my head, but without your (and the teams) valuable efforts I would be less aware of the real situation. Just hit up the tip jar. I’ve followed this site since it started and appreciate all the time and effort you (and the mods) put in to keep it informative, engaging, and contiously updated. I have posted maybe 4 comments in all that time so I would consider myself a lurker. If you are a fellow lurker and enjoy this site, throw in a donation. Just hit the donate button. Thanks to everyone who makes this site pssible. I am one of those who visited after Climategate as a somewhat disinterested lukewarmer and have since really had my eyes and mind opened from what I have learned from everyone here. Thank you for your dedicated work and for all you have done. It truly is a service to mankind. Expect surges of visitors come Bonn and Cancun. Congratulations on the succes of this site. I am one of those who found this site after I heard about Climategate. I have visited this site daily since. The effort you put in is greatly appreciated. I’ve always had a feeling something wasn’t right with the AGW position and the hype surrounding it and I find it refreshing to get news and commentary on the subject without all the BS and hyperbole. Keep up the good work. 40,000,000 hits – I bet this guy is no fan of yours. This is from Private Eye magazine, the scourge of incompetent, corrupt politicians and bureaucrats in the UK. Carbon emissions trading might be useless at tackling climate change, but it is highly profitable for the financial engineers behind it. The godfather of pollution trading is an American called Richard Sandor, famous as one of the founders of financial derivatives in the 1980s at junk bond trader Drexel Burnham Lambert, where he pioneered the “collateral mortgage obligations” that eventually brought the financial markets to their knees. He was also architect of the first pollution permit trading scheme (in sulphur emissions) in the US, in the 1980s. Now he chairs the company controlling more than 80% of EU carbon emissions trading, Climate Exchange Plc, which regularly launches “innovative” carbon products such as daily futures contracts and has set up trading exchanges in China, Canada and Australia. Sandor meanwhile has been a big mover behind plans for a mandatory trading system in the US that would see his company’s income multiply. Under Sandor and chief executive ad offshore insurance specialist Neil Eckert, Climate Exchange Plc owns the European Climate Exchange based in London’s Bishopsgate, as well as the Chicago Climate Futures Exchange. Business is especially booming in London, as Eckert boasted in a recent results announcement last week: “ECX had a wonderful year and with the continuing EU discussions of an anticipated 30% cut (in emissions) by 2020 and particularly the move to 100% auctioning (of allowances) in 2011, shows significant long term growth potential.” Last year Sandor earned $1m and Eckert £575,000. Sandor’s shares in the company are worth more than £40m, and Eckert’s around £5m, on top of £7m worth of options. These riches came on the back of operating profits last year of £11.5m, made almost entirely in London where trading in £70bn worth of emissions allowances by the European exchange’s 100 members, including such renowned environmentalists as Shell, Barclays and RBS, earned the exchange £11.4m. Not that any of this finds its way into the (UK) government’s coffers in the form of tax that might be invested in slightly more useful environmental measures. The rest of this article can be found on page 29 of the March 19th edition of Private Eye, Britain’s leading satrirical magazine. WASHINGTON – March 22, 2010 – The U.S. Departments of Agriculture (USDA) and Energy (DOE) and the National Science Foundation (NSF) today created a joint research program that designates nearly $50 million to develop climate system models that provide insights on climate variability and impacts on ecosystems. Anthony, thanks so much for hosting such a great virtual party! My own consulting business has been the pits also, and my wife threatens to kill my laptop quite frequently, so I understand your plight! Please get healthy and throw us some bones once in a while, I think we have a good rhythm going amongst moderators and commentators. Your contribution to the understanding of the political and societal ramifications of global warming cannot be understated. We’ll be here when you get caught up with stuff. Also, hat-tip to Moderators! Sell us anything you think we’d value and benefit from. I’d only advise that it be reasonably relevant to our interests so that the anti-commercial among us be only minimally annoyed. I’m also not hip to other ad sellers on blogs, but on Traders-Talk we use several and I can make a recommendation or two that might be able to augment ad revenue a bit. Feel free to contact me. No worries, the self proclaimed statistical geniuses over at “real” climate will match your numbers any day of the week, and one doesn’t even have to do any qualified guesswork to come to that conclusion since they have yet to present any kind of raw data that is unmolested. OK, I just visited the store. You have GOT to put some of those products on rotation on a banner on the site. We won’t know they are there unless you show us. I want the ProScope. I can’t figure out why I need it, yet, but I WANT it. That has a major cool quotient. I also want to thank you deeply for the information on your blog. I have visited daily for the last 6 months or so (starting before climategate) and always enjoy it. Looking forward to your new merchandise too! Using this popular site to advertise your Weather Shop gadgets is a great and welcome idea. Many of us dive right into the posts and comments here with barely a glance at the right column or a detour to the Shop. If you can have Google ads in the main column, why not put your own in, too? A ‘Gizmo of the Day!’ or ‘Top Three Best-selling Gadgets!’ would draw lazy fingers like mine toward the WS. Also, have you considered WUWT and WeatherShop paraphernalia? You know: hats, shirts, buttons, bumper stickers, mugs, calendars, etc.? How about low-end gift gadgets for folks looking for Christmas and birthday presents? And you could diversify to non-weather items, too, e.g. gyroscopes (remember those? ), multi-band radios, atomic clocks (whatever LaCrosse’s weather-gadget deficiencies, I have a wall atomic clock I got from them for only about $25 that works great). Just suggestions. I want a WUWT coffee mug. With pictures of crappy weather stations all over it. I gave up on the Eye after they kept pushing the MMR vaccine scare and jumped on the AGW bandwagon. They’re great investigative reporters, but they have a couple of rather massive blindspots and, in the end, they’re part of the same lumpen media they’re supposed to be satirising, sharing all the same vulnerabilities. I started visiting your site about 8 months ago after I independently realized that AGW is technically inaccurate, based on the non-relationship between CO2 and global temperatures in the geologic past, and because the narrow IR band is already completely absorbed. I started to do a few feeble bits to counter the politics, but was extremely heartened to see your results so much greater than mine. Thanks for giving me hope. On the product side, how fast will your weather radar screen update? If it’s more often than once a minute, there’s a market in light airplanes. Currently, you can get GPS with this, but it’s about $50/month and only available on the more expensive units. It wouldn’t be a big market for you, but you may save a few lives. Send me an email if you’re interested. This is my first post, but I have been reading you for about 2 years now. It’s been a great ride – amazing in the last few months. Thanks for all the great work. Given the situation, I hope readers will forgive me if I showcase a weather station product or two in the future as a way to gain revenue. Thank you for all that you do here !!!! Please continue with the great work !!! Well tell us the truth Anthony, is that 40 million number adjusted for inflation ? You know the world population has increased a lot since you started this thing, so it is only natural that your readership should have gone up. Roy Spencer says that the world population density is going up too; so I’m not so sure you guys aren’t in cahoots on this thing. Anyway; if you think your door bell ring count is going up; just wait till you see what is going to happen to your taxes (and mine). Anyway; bloody good show Mate; you and Chasmod and his gang have done a lot of hard work to achieve this result. Keep up the good work! I think WUWT is doing very well, surely most WUWT readers appreciate the many guest posts too! Regarding your main interest http://www.surfacestations.org/, I wonder if you have considered the following “trick” that may “hide the decline”? 1. Urban surface stations may be old – covering the warm thirties. 2. Rural surface stations may be new – not covering the warm thirties. I Norway we have one example where they have excluded one urban station for our capitol where 1934 is the warmest year and instead included another rural station where a dramatic temperature increase is seen. I’ll put this bluntly, some people don’t know what really keep sales on the up and up. If you have already bought a weather station gadgety thingy, will you buy another one any time soon? A vibrating apparatus on the other hand will sell again and again, and you can still call it a thermometer if you want, heck it could even include a whole set of thermometers. I wonder if you actually are able to track those of us who do not use a browser but use our email readers to follow WUWT. With an email reader I can filter out topics that do not interest me, keep posts that do interest me and in general have much more flexibility than in something like google reader. Of course google reader may not track either??? I may be one of the few “warmists” on this site, but generally have been treated very well, and the dialog is always enlightening! Folks, hit the DONATE button ! Yes – we want weather products – maybe there’s something I could use. I’m fascinated by the UHI effect upon max and min daily temps. To study this would require a rural counterpart around the Ottawa region. Congratulations Anthony et al, this is an amazing performance. Anyway, I’d just like to thank everyone who’s made this possible. Also, I’d like to point out that the value added stats for this site prove that it is the most visited climate site since records began. And if we don’t act soon it will destroy the internet. Thank you for injecting humour back into my life. 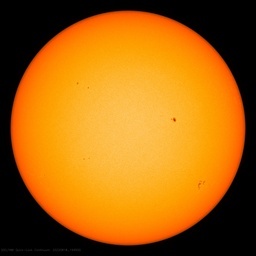 OK the AGW crew deserve much credit too but this site illuminates their antics superbly! Well done, Anthony. I joined your blog just before last Xmas, at the 37M+ point. I’m pleased to say that I was on your site yesterday (Thursday, late a.m. your time), so contributed to your latest milestone. Keep it up; nobody does it better! I have a friend who runs a small sports blog. [I post occasionally.] When I told him how many hits WUWT gets he nearly fell over. As a regular visitor and frequent commenter, I would not object to more advertising which might be more lucrative then you can possibly imagine. Advertising does not necessarily mean offensive. I will bet that WUWT has more unique hits a week then Time magazine. We could hardly expect to get the information on this site from a source funded by taxpayers so if most of us could donate a small amount it would add up since there are so many people who see this site. Lurkers don’t need to be freeloaders. I want a 2011 WUWT Calendar with a crappy weather station pic and outrageous warmist quote for each month. Why not do a surveymonkey on your readership; see what you can sell us? I have been a visitor and occasional commenter here almost since the beginning. I have given this site’s details to dozens of people over the last few years and hope to have done my small part in the campaign to educate people who may not be that interested in the subject. I know that chatting to people and giving them some food for thought has resulted in them reconsidering their position, and your site gives much more detailed scientific information. And not a few giggles here and there! Thank you so much Anthony for your dedication to the cause. Please don’t wind down too much, I am a bit of an addict of this site and I will still need my fix! Congrats to you and your mods and a big Thank you! I just made a donation and I’ll be checking out the new weather gadgets too. So, 40 MILLION hits and Anthony, who made this wonderful site possible, is facing financial problems (aren’t we all?) but I’ve hit the tip jar with my ‘Widow’s mite’ and if only a quarter of the visitors to WUWT did the same, Anthony’s problems would be over. Let me repeat what Leif Svalgaard (11:01:21) said: DONATE NOW. $10 is NOT going to break your bank, but if enough of us donated that amount then WUWT’s continued existence would be assured. Let’s give recognition to ctm and the rest of the Moderators for ensuring that this site remains the most open-minded, interesting and informative site about climate/weather/what’s happening outside! Anthony, please can we have an anniversary date of WUWT’s very first web appearance? Then we could have an international Birthday Party! Imagine … WUWTers around the world raising a glass in appreciation of what this site has achieved! I compared WUWT to Tamino. Had a -very- good laugh! Just turn that graph upside down – then your stats will look much better. Realclimate seems to be coming in for a landing on the abcissa and this is as it should be. Anthony, I want to thank you so much for bringing a remarkable, diverse, knowledgeable, international universe of talent into one spot. It is easy to see that this has required a near superhuman effort and sacrifice of life’s other demands and pleasures, plus help from dedicated supporters. I rank the education I continue to get from this site over the past 3 years or so at the top and I am a geologist, engineer and economist with a lot of book learnin’ and professional experience. Even meeting on line such bristling intellect, and I include the argumentative foes on the other side who passionately and respectfully sharpened everyone’s wits. I believe your creation has had a giant affect in a world that was seemingly bent on surrender to hateful ideologue Liliputians whose desire was not to save the planet but to control it by tying free-thinking spirits down to a grim and dark economic and political surreality and to subjicate noble science itself to this end. Even the Liliputians themselves are being saved but, like ungrateful Nile crocodiles, may not know this. Your blog’s enormous popularity is in no small way because it was open to all sides of every question with the simple rule of respect of others as the guiding principle. Bravo and congratulations! Tell me how I can donate some cash. I’ve selfishly enjoyed the site and I’ve just noticed mention of donations. How can I do this. I did buy a surfacestations report with a little extra but I would like to give again. I don’t actually recall when I first linked to your site (a couple of years ago now) but it has been a saviour of my sanity working in a government office with its attendent AGW parnoias and economically destructive policy responses. I am selfishly sorry for the fact that you will be posting less but fully understand it. I am very appreciative for what you have given and just hit the tip jar for the first time myself. Thank you sir and best of luck with your business. Thanks all for the help in keeping true science alive and well and congrats to all visitors for making this site shine! Sorry to hear that the volume has slowed a bit on your site. I guess we’ll have to dig up a fresh CRU/IPCC scandal for you (there’s so much to choose from that I don’t know where to start). I’d buy Al Gore’s brain. It shouldn’t cost much, perhaps a dollar per pound, which should cost me about a buck and a half, assuming of course he actually has one and it doesn’t squeak when it’s squeezed. First thing on a morning – coffee and WUWT. A big thanks to everyone involved in making it all work. Hey the $10 idea is great. I just did it and was reminded that A takes PayPal. How sweet is that? I should pay more since I must have put up about 10% of those hits myself, but things are tight all over. The power of many is needed here. Just dropped a donation in the tip jar. Just out of curiosity, have you ever looked into becoming a 501 (c) 3 edicatopnal organization??? Then the government would be helping to subsidize both sides of the argument. I have never in my life donated to a political party and only rarely to small local charities.Words of thanks are easy, but, as I always tell my kids, it isn’t what you say that counts but what you do. Donation of £20 on its way. C’mon you Brits, support WUWT. Anthony – I add my congratulations and also proffer some unasked for advice. When the climategate first hit, I naively thought that the end of the scam was soon to come. However, the forces of darkness are well organised and are intent on riding this out and will soon act as if it had never happened. After all, “there are many *proofs* that AGW is real” and no matter how many are shot down, more will rise up to take their place. This is going to be a very long, exhausting war. You must organise your work accordingly. I strongly urge you to re-organise and to step up a level, rather than reduce your output. You already have an excellent team – Charles the moderator and all. What you now need is an unpaid, retired general manager, to run your site for you, under your sharp oversight as managing director / CEO or chairman. Post yourself, as often as your time, energy and interest dictates. But keep the site hummimg full speed ahead. As I said, there is a long war ahead. Organise, organise, but do not whip yourself into exhaustion, either physical or financial. From an old hand in other battles. Anthony – I just made a longish post but somehow it got swallowed up, so here’s the shorter version. This is a long war to defeat those trying to hide the truth. You must reorganise your own work habbits and move up a level to avoid burnout, either physical or financial. I suggest yo appoint an unpaid and hence retired, general manager to run your site for you under your watchful eye as MD/ CEO/ chairman. Keep posting on important matters as your time and interest dictates. But leave the daily grind to others. They that preservere will win. Truth will also win out, but it does need both help and organisation. Done! Thanks for the reminder, Leif! Congratulations and many thanks Anthony, for the efforts that must be really exhausting. All the information (and entertainment!) provided here is for sure worth a donation from time to time. I can’t go a day without reading this website! Where and how do you get the time to keep updating it!?!? I have my own blog(s) but can never find the time to keep feeding it. Thank you for doing what you do, and keep up the excellent work. Anthony, since your site has become skeptic central it would be prudent to use this to your advantage even more and let all the well known scientists that they are welcome to submit commentary whenever they like. I know Dr. Spencer and Dr. Pielke have regularly which is excellent but I would suggest adding more to the roster, like Dr. Michaels, Dr. Lomborg ect… Anyone who frequently writes Op-eds. Just sent a little more dosh in your direction – I hope things turn around. My husband calls himself a WUWT widower because I’ve been spending so much time at your site, so I owe you! I’ve had to cut back a bit because I desperately need to get some work done, but a daily visit is a necessity. Congratulations on 40 million hits! I’m really looking forward to the unveiling of your surface stations paper – bet the hits start coming thick and fast when that happens. I’d like to echo the desire of someone above who wants a WUWT mug – and I’d like a T-shirt, preferably with a picture of one of the or two of the worst surface stations (I know – hard to choose). I am seventy years of age and in semi retirement in spain. I think that i am fairly well informed about mgw and i am appalled by what is happening in the world today. The worst part is the feeling of impotence and this is why i love to vist wuwt and climate audit. You are personably responsible for giving me hope that somehow or other, this hoax will be recognised for what it is. I find it frightening that the fraud has been exposed in so many ways and yet the waggon appears to be rolling inexorably on. Without my daily fix of wuwt to keep me going, i dread to think how depressed i might become. Very many thanks for all the hard work that you have put in and a special thanks to your family for allowing you to do it. Please find a way to continue to provide your avid viewers with more of the same sober observations about the climate. Just to add to your burden, I think that someone should address the nomeclature of the climate debate because i find it to be very strange. I think that if the climate wasn’t changing, then we would really have a problem, so agreeing with climate change doesn’t really mean anything. Just do what it takes to keep going Anthony, i am certain that that is the concensus view. Congrats. This blog kills fascists. The mere mention of it drives some people to apoplexy. I’m so happy for your success. I hope the spirit this blog engenders is needed so very much in these troubling days. Three cheers for Anthony. Long live the ‘Climate King’. Anthony – do whatever it takes! We appreciate all that you do! In all seriousness WUWT, you should be pleased to see the extraordinary effect yours and like-minded people’s efforts have had. It is doubtful that without this site, the UK Science Museum would have changed their pitch to accept the skeptic’s (i.e. scientific method) view. There have been many other triumphs – not the least in allowing vast numbers of people to witness the less than perfect work of alarmists. Admitting to their flaws is an achievement unheard of only a few years ago. Bracing. Congratulations AW, Charles, et al!! Take care of you and your families first. To bad you couldn’t move your operations to AZ were the taxes are a little lower. IPCC/UN Choo-Choo has a “robust” server. For sale, Cheap. Peer reviewed. See AlGW for detales. It was a dark and stormy night, and Choo-Choo’s MannJones “neutral” server was robusting the air conditioner, when Suzy busted open with …… sorry….. “don’t trust me” ….. The outspoken chairman of the UN’s climate change body is to adopt a neutral advisory role and has agreed to stop making statements demanding new taxes and other radical policies on cutting emissions. In an interview with The Times, Rajendra Pachauri, chairman of the Intergovernmental Panel on Climate Change, apologised for his organisation’s handling of complaints about errors in its report. He also apologised for describing as “voodoo science” an Indian Government report which challenged the IPCC’s claims about the rapid melting of Himalayan glaciers. But Dr Pachauri, 70, rejected calls for his resignation and insisted he would remain as chairman until after publication of the IPCC’s next report in 2014. He claimed he had the support of all the world’s governments and denied that, by remaining in post, he was undermining the IPCC’s chances of regaining credibility with the public. “It is not correct to say there are people who don’t trust me,” he said. At any rate, that’s how I have time. Anthony, on the other hand, has a job … and my intense admiration. Done and I wish Anthony well. PS – Coming to SF on Monday for a week. Tuition payment already in SF. Deliver it? I drive by Chico weekly when I am in CA, on my way to flyfishing up on the Pit River near Burney. I could drop off some fresh trout on the way back. Nothing like native CA rainbows cooked up chinese style. My own secret recipe. Anthony, Thanx to you and all for this gift. I visit another site everyday called Heating Help, run by Dan Holohan. That is what I do, heating. The reason that I mention this, is because I find the two of you to be very similar with your passion to your subject. But the other reason I mention Heating Help, is because Dan is very good at marketing. Please check out his site for some ideas. I can tell you that no one that visit’s his site has any problem with his sales. We know that if we want to keep an excellent resource like this going, it has to be funded! Anthony – you are running a brilliant site! Well done on the numbers, far more people are getting real news here than in the dreadful MSM. On my screen I can see about about 5 x 10 inches of grey dead space on each side of your blog!!! Get it packed out with ads man – and get that revenue streaming in. I’m sure none of us would really mind as it’s the quality of your articles that we come here for. PS: $20 in the tip jar. COME ON PEOPLE! Support something VERY valuable… or lose it! Anthony, you need to place a box Google ad in the top right corner where your award is now and a banner add above the first post as a permanent ad. congratulations and thanks to A, guest posters, and mods for a great and stimulating site. I have really enjoyed your website since I discovered it. Don’t even think about leaving us! Too bad the warmers/alarmists don’t really tell it like it is. But, hey, you got ’em beat by a mile. Even if you slow down I’ll be checking in often. I started coming here around the emergence of Climategate, and visit WUWT pretty much every day. This is a terrific site and I hope that your health improves, your business perks up, and all else that could possibly go well with you does so. I would not like to lose this site because I think it is doing a very important job. I don’t know about anyone else, but if there were some kind of app. on the page that displayed how much you’d ideally need to get in the way of income from the site every month, and if somehow that could be kept updated, we’d all have a visual summary of the situation that would act as incentive to contribute in some way. It needn’t be presented in monetary terms, but could be something symbolic like a thermometer, perhaps. I didn’t know you might be struggling a bit in the current economic climate, but I feel concerned enough to suggest this idea and also to make a visit to the tip jar, which will be my first one, I am ashamed to say. I don’t personally feel this site would be any the less valuable if the number of postings per day dropped to half what it is now. I know that sometimes because there may be several posts in a day, I may skip over some of them. But if there were only one or two, I’d probably spend no less time here and get as much from it as at present. I certainly don’t have any problems with your taking advantage of the site to generate some income. As you intimate, you’d be foolish not to. You have millions of visitors, and there must be a way to create an income stream. I don’t think you should be embarrassed to make any link to such a store prominent. You could populate the store with stuff that you think will interest your readers, or include all Amazon products if you wanted. I’m sure many of your readers buy stuff from Amazon, and if they knew buying by click-through from you would generate income to keep WUWT going, they’d be happy to do that. Everyone knows you are dedicated to WUWT and a genuine person and aren’t primarily interested in making the site a commercial one per se. I don’t think you should be too worried about appearing brash in a good cause: everyone is on your side and wants to help. All power to your elbow, mate. I reckon that if you summed the total hits of Real Climate, Joe Romm, Tamino etc., etc…, all together you still wouldn’t get close to the kind of numbers you are achieving here. And that says a heck of a lot to me. I agree with those who say to hit the tip jar now and again. I’ve decided from now on to make a regular monthly contribution. The world needs WUWT! As we say in Scotland: “Many a mickle mak’s a muckle”! As someone going through the process of setting up and running their own business I can empathise with the amount of time, effort and commitment it takes; so one question naturally springs to mind: “How the hell have you managed to do that and run WUWT?”. No wonder you’ve been tired and ill my dear chap, my best wishes to you and your family Anthony. I’ve bunged a little something to the surfacestations project but I’d like to second/third/fourth those comments with regard to a sideline in WUWT merchandise. I realise it’s potentially more work but [a] you already have the business mechanisms in place for product selling, distribution and payment collection, [b] I think you’d get readers on this site to post designs in and [c] I think it could be a nice money spinner. All the best, and that promise of a pint still stands! A well-deserved measure of your ethical and scientific standards, Anthony. Anthony – I just mailed you a check . Hope it helps a little . All the superlatives have been used up above, so in gratitude and for all of the above reasons I hit the tip jar. look after yourselves and stay lucky! Climate Progress is having a hissy-fit about this post, complete with analogies to skeptic skullduggery in general. It would be pretty funny if it wasn’t so petty. It looks like Joe is crying because his quote at the top of his blog says “The Web’s most influential climate-change blogger” which is now false. It should say “I only wish I could get as many hits as Anthony Watts”. Anytime I have tried to post there he just deletes my posts. You can tell by the number of comments per post that he gets about 1/5 the traffic you do. Mark Young (08:55:12) : I want the ProScope. I can’t figure out why I need it, yet, but I WANT it. I’d never noticed your Weather Shop before as I was always focussed on the Surface Stations part and as a typically confused academic assumed that the money for the latter helped you to buy yourself needed weather equipment. Please don’t roll your eyes in disgust. So I visited your Weather Shop and there are some very pretty gadgets that I intend to buy, only just not quite yet, as money flow is currently a bit of an issue (with two kids in college and no scholarships or student loans in sight – but one will finish in a couple of months). Given my own confusion perhaps it would help if you separated the Weather Shop and the Surface Stations. I think many of us are feeling a little down as your initial predictions that Climategate was not going to destroy the AGW game immediately, and that there is a long battle ahead, are being proven correct. Hopefully in academia more of us critics of the scenario will be emboldened by Climategate to give voice to scientific reason. I know there will now be a good 2-3 hours of lecture in one course, and if I can fit it in, another hour to a popular course I teach that is usually jam-packed with engineering students. Word will spread, and you and your team deserve so much credit for this and for your fortitude and perseverance. But I wish to add my voice to others and urge you not to burn yourself out – please take time away and enjoy family and life. You, CTM and the other mods, all have my most earnest best wishes. I have a few friends that will love this site, I’ll certainly let them know.